The league is also very active in the charitable community. Throughout the years they have staged marathon games to benefit Cystic Fibrosis and Prostate Cancer research. 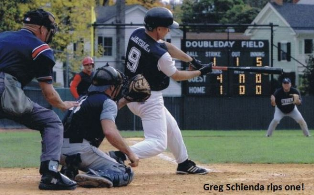 If you are interested in speaking with Greg or learn about how you can become involved in the league or their MSBL World Series teams, you can e-mail schiendag@cox.net. You can click on the league logo above to be directed to their website.